How it is all tied together? How to get started selling informational products? Please Note: This list is not intended to be exhaustive; effort and dedication are required to make serious money online; informative and creative comments are welcomed. You get paid to promote other people’s products for share of the profits. You can find thousands of products to promote. They can be physical products like: baby strollers, shoes, watches, notebooks etc and informational products like: eBooks, software, online courses, magazine subscriptions and so on. Since informational products don’t have any “hard cost”, affiliate commissions go as high as 75%. All of the major companies have affiliate programs: Google, Yahoo, Amazon, eBay and there are tons of smaller programs you can join for free to make money. Another thing that you need to understand is that you DO NOT need your own product to succeed as an affiliate marketer, as there are 10,000’s of companies that are literally begging for people like you to promote their products/services online in exchange for a commission. The reason why companies are so eager to have you promoting their product/service is because they are much better off having 1000 affiliates spending their own time and advertising money than it would be to spend the company’s time and money on promotions in house. Not to mention that having 1000’s of affiliates promoting a product gives a company a LOT more reach to connect with potential customers. Companies have something called affiliate programs that they use to track your sales. When you sign-up to an affiliate program or a network you are given a unique sales link which then you will use to refer people to the company web page. This link will uniquely identify you as the affiliate who referred that visitor to their site. If the visitor ends up making a purchase, you will get a commission. The key to succeed as an affiliate is to choose a niche that you’re passionate and knowledgeable about. For example – you love dogs. You have a dog, know a lot about dog care, training, what they need to be happy and healthy. You put up a website or blog that teaches people how to take care about their dogs, where to buy best toys and dog food, tips and tricks on dog training… Then you join dog related affiliate programs and start making money by referring people to their products and services. I have tried all kinds of ways to make money online. Some of them ended up loosing me money, some ended up making me money. Comparing everything I have tried I think, affiliate marketing is the easiest and fastest way to make serious income online. By saying easiest and fastest I don’t mean you will get rich overnight without any work. Time investment and dedication is a MUST in any business. So with this being said before you can get started with anything, you need to understand the basics of affiliate marketing. You also need to understand how to take advantage of Internet marketing resources and tools to create a successful business online. There are a lot of programs and courses that teach affiliate marketing. But among the affiliate marketing programs that I have tested (I’ve tested a lot! 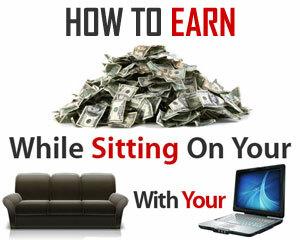 ), Wealthy Affiliate is the best that I have come across. Their affiliate marketing training, website building tools, and one-on-one support are top-notch. Is Wealthy Affiliate right for you? Well, I don’t know your particular situation, but I’ll tell you this: affiliate marketing has had a major impact on my life and financial situation. Wealthy Affiliate is what got me started in affiliate marketing and in my own personal opinion – is the best place out there to learn it. You can check out Wealthy Affiliate review here to learn more about it, or if you consider yourself seasoned internet marketer you can check out the list of best affiliate marketing networks to sign up for highest paying offers. Ten years ago owning online store and selling products online was a prerogative of large companies with million dollar budgets to support web development, shopping cart, payment collection and security of transactions. Now anyone with a home computer can open and run successful eCommerce business, for very little money. There are a lot of excellent ways for someone with little or no experience at all to open and run an Internet store from home. Drop shipping is a technique when retailer (You) does not keep goods in stock, but instead transfers customer orders and shipment details to wholesalers, who then ship the goods directly to the customer. The retailers make their profit on the difference between the wholesale and retail price. You can use this business model when selling products in your own online store or when selling on online auction sites like eBay. You can learn more and check out best drop shipping companies here. Large companies like eBay, Yahoo, Amazon offer solutions that have everything you need to open your own Web store. So you don’t have to worry about technical details. Having online store gives you more flexibility about what to sell, how to sell and more profits since you’re not paying online auction fees but at the same time it places a burden of handling a lot of tasks on you. Before you put online store you need to decide what you’re going to sell and where you’re going to get it. You can sell items that you carry and produce or you can use drop shippers. If you want to learn more about professional eCommerce solutions – check out eBay ProStores. Using online auction sites like eBay you can leverage their giant marketplace with millions of buyers. eBay has very flexible approach of what you can sell. It can be used or brand-new items ranging from popular brands to hand-crafted gifts. Back in days I was doing quite well selling used stuff from home on eBay but you’re not limited to only one source of products – a lot of people make money on eBay selling products from drop shippers and online liquidation auctions. Recently eBay has started expanding their network and now they have eBay available in over 30 countries. You can open eBay account for free and you can start selling right away. First of all decide what business model you’re going to pursue. If you’re brand-new to this concept I would recommend starting from eBay by opening eBay account to get a feel how everything works, sell couple old items, get some good feedback then move to the next step – get a relationship with legitimate drop shipping company (make sure you read dropship reviews before you start looking for one). Try prices, marketplace and products by selling from drop shippers. After you find what’s working you can move to advanced stage and open online store. You don’t have to stock or ship any inventory. Most of the time you don’t have to do anything when the product is sold. Once product is created you can sell it over and over again. In order to sell eBooks, audios, videos, software there are many things you have to learn. I am not going to fool around and imply an idea that in order to make money – “all you have to do is to create a product that solves specific problem, produce it in a form of eBook or application, video course etc and then just let people buy it”. It is much more complicated than that. Before you even think about creating your informational product I would recommend you to promote something as an affiliate to get a feel of how system works. After you check out the affiliate game for some time you should determine what niche your product should be in. Hopefully it is something you know and passionate about. Then a million dollar question is to come up with a digital product that people will actually buy. While being an affiliate, hopefully you build a list of people interested in what you have to sell so you can market your product to them. At the same time you can use network like ClickBank to recruit affiliates that will promote your product. It was extremely simplified explanation of the process. I would not recommend trying to make living on Internet by selling your informational product if you’re a newbie. But it is a great way to have substantial income and expand your business for seasoned internet marketers. Do you have digital camera that can take pictures of decent quality? Do you go out, travel, visit new places and take pictures or maybe you’re pretty good at Photoshop or working with 3D renders? Do you know that you can make money from those images? Stock photo/video/audio websites are always in need of new images/videos/audios to satisfy growing demand of web/graphic designers, content producers, commercials, movies, games. Prices for images, depending on license type (usage rights, exclusive rights, resale etc. ), range from $0,25 to a couple hundreds of dollars per image. At the moment of writing this article my hard drive contains around 9GB (around 7000+ image files), which are nothing but pictures taken by my digital camera: of me, my friends, places I’ve visited, people I’ve seen. That means that I owe the rights, I am the author. So how do I monetize my image library? I go through and pick some good quality, original, sharp, interesting images. If there is a person in a picture area make them sign “Photo Model Release Form”. Upload pictures to as many Photo Stock Websites as you can. Give them a good description, title, tags. If your pictures are good enough to stand out of the crowd you can expect steady flow of downloads and passive revenue. Now go ahead and take new pictures. Professional stock photographers just travel around the globe capturing stunning images and make their galleries work for them. To get started sign up as a photographer on website like 123RF. They have one of the highest payouts for photographers and easy to use platform to make money with stock photos. Rewards and higher payouts for exclusive and high volume producers. You get 50/50 split from each download. If customer downloads an Ultra High Res ($3) version of your photo, you’ll receive = $3 × 50% = $1.50 from that sale. This is pretty good comparing to the rest of stock image websites. Also you can check out other stock photo websites that paying photographers here. Welcome to freelancing world – a place for independent programmers, web developers, graphic designers, online marketers, engineers, writers and consultants of all kinds. Here you can work worldwide from home using the Internet to communicate with buyers. It’s not surprising that large and small business outsources its needs to save money. Sometimes it is better to pay independent contractor to do the job instead of having “in house” dedicated department. You as a freelancer can utilize this opportunity and make money selling your professional skills. There are several platforms that you can use to make money as freelance specialist. The two most popular and complete are Elance and Odesk. They both facilitate the entire work process from hiring to collaboration to payment. In other words, they help you connect you with people who need you! There are businesses out there that willing to pay BIG bucks for your work right now. People need answers to their questions all the time and willing to pay for those answers. Cooking, gardening, health, computers, web, legal, cars, pets, taxes, home improvement, relationship all these areas need Experts. “Just Answer” is a platform you can utilize to make money answering people’s questions. I have seen people willing to pay $200 to get an answer to their question. So you can make money by answering questions and sharing your knowledge with others. You have to pass their test to be accepted as an expert. Questions start from $5 all the way up to $200. If you consider yourself as a tech guy/girl: programming, SEO, PPC, Java, video editing, article writing… then sign up as a service provider on website like Odesk and apply for a job that seems interesting to you. If you’re more of an expert in general areas like cooking, gardening, nursing, car repair, medical questions, financial and legal advice… then sign up as an expert on website like JustAnswer and start making money by answering people’s questions. There are many ways to make easy money online and the information provided above is true, however you should also look for other characters that leads to a good way to make easy money online. Such as how much does it cost to be a part of the program? A good program will offer a free trial period. Also look for the training and team work involved with a program. You want to find companies or groups that work together as a team. The fact is if you try to start an online business to make easy money online and go it alone you will more than likely fail. 97% of internet marketers fail because of this one single fact. Look for companies or systems that provide advertising resources and take them up on it. You want to do this because the people providing these have done all the testing for you to ensure they are providing good valid resources (remember they only succeed if you succeed so it is in their best interest to provide you with good info and resources). If you do this you should be fine and will start making real money online! Indeed, the Internet can be a good source of income. You don’t have to sell a product if you don’t want. But if you want to sell, you can simply look for a company that can help you. If you are a newbie, you can focus on the skills that you have, and if you are good with people then you can start creating your own networking business. I started business with a product in mind and it is still doing great today but since I learned so many tricks and strategies as I grow in business, I decided to help train and teach people with my expertise. In this way, I would be able to have a network whose members are supportive of each other. Thanks for the great content and information on legitimate online businesses. I search the net looking for this type of content to give me ideas on future articles that I am going to write on this same general subject. Appreciate reading your article and information on this particular subject. I have created a site similar to the eBid one in your youtube video and I wonder how you suggest I can promote this to attract new members, and roughly how many members a site like this typically needs before it begins to function well?